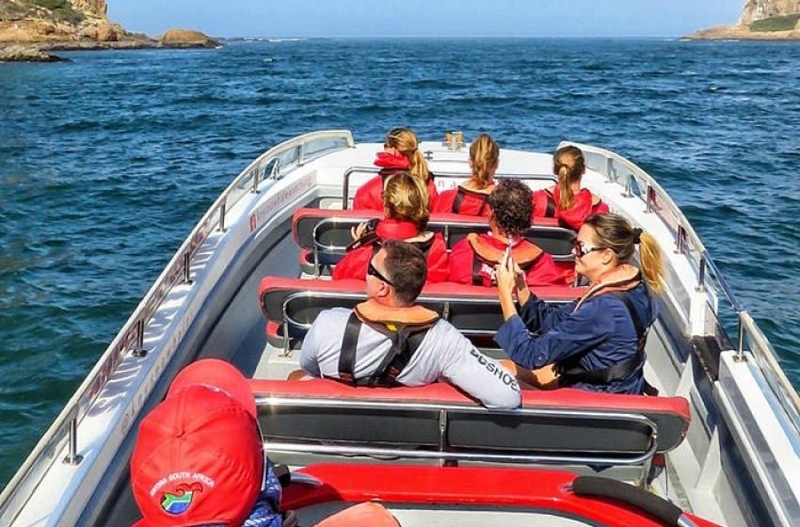 Ocean Odyssey is Knysna’s only official whale watching permit holder, allowing the us to approach whales to within 50m; if the whale chooses to come closer, we don’t have to move away. With a maximum of 12 passengers on board, personal service is guaranteed. 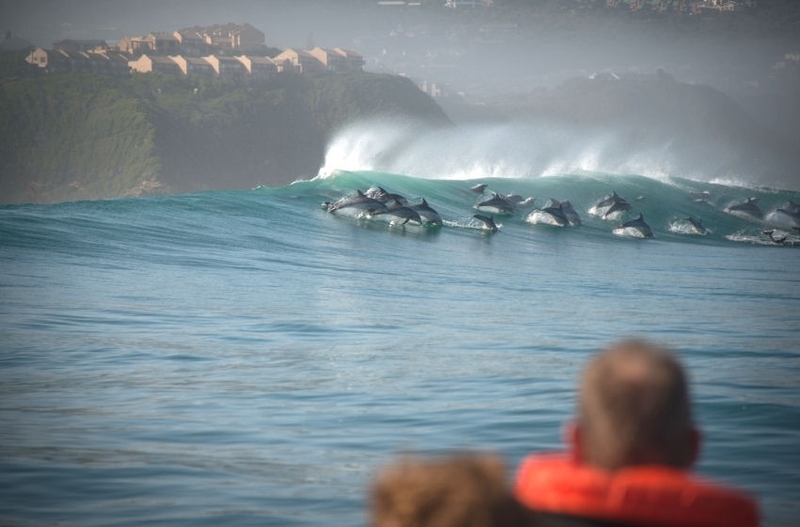 During the tour, stops are made to watch whales, dolphins, sharks and seals, as well as any seabirds that may be encountered. Other interesting features pointed out to clients include cultural facts, shipwrecks, geology, bird colonies and anecdotal information. Inshore we’re always on the lookout for Humpback dolphins and Bottlenose dolphins. We see dolphins on 80% of cruises year around. In the deep water we’re in search of common dolphins and Bryde’s whales. The Bryde’s whale is resident in Knysna, and sighted on approximately 70% of cruises year around. 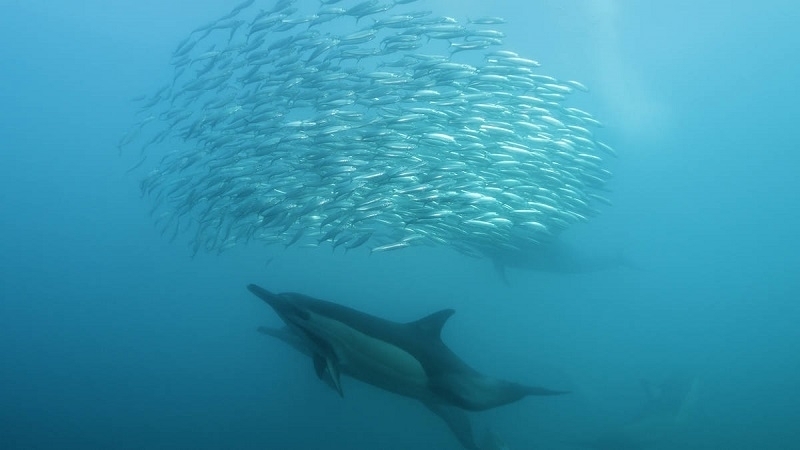 Common dolphins are known for their large group sizes, in Knysna the largest group we’ve seen during a cruise, was approximately 10,000 individuals. 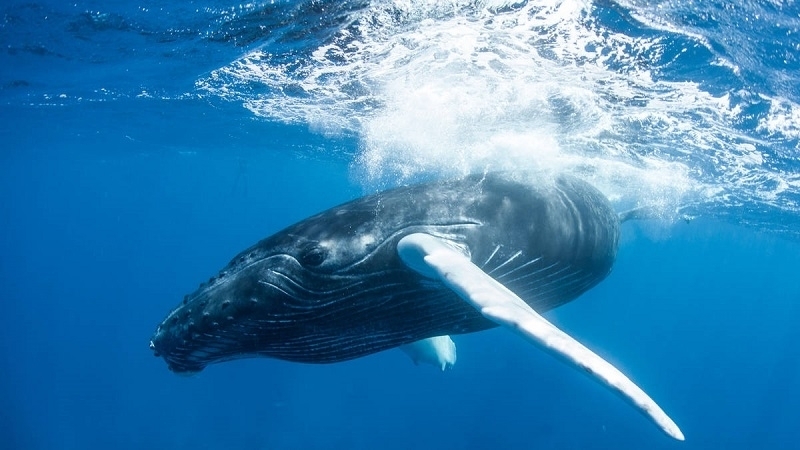 During whale season, we have regular sightings of Southern Right whales and Humpback whales. Both species travel to South African waters for their breeding season. During peak whale season we spot whales on 95% of cruises. InclusionsBottle of waterExclusionsFood is not allowed on this tour. Trip duration is 1½ – 2 hours, depending on conditions. Explore the waterways of Thesen Island and the Knysna Estuary with the world’s fastest growing watersport, Stand-Up Paddling. Stand-Up Paddling, or SUP for short, is easy, fun and guaranteed to keep you fit whilst enjoying the spectacular scenery of our waterways & lagoon. The calm waters of Thesen Island are ideal for beginners and the many inlets and coves are perfect for the more adventurous or experience paddlers. Ten top quality boards and paddles are available for rent by the hour. DurationOpen EndedWhenSeptember-May Closed on Christmas Day and New years dayWhereADVENTURE ISLAND Central Beach Car Park Hopwood Street Plettenberg Bay Please be at location 30 minutes before departure time! WeatherWeather permittingWhat to Wearswimsuit, some warm for after.Things to BringPlease bring a swimsuit to wear under your wetsuits and your own towel, we will supply the rest.Guests or SpectatorsSpectators: Welcome as seal viewing guests - R440pp. Book Seal Viewing.